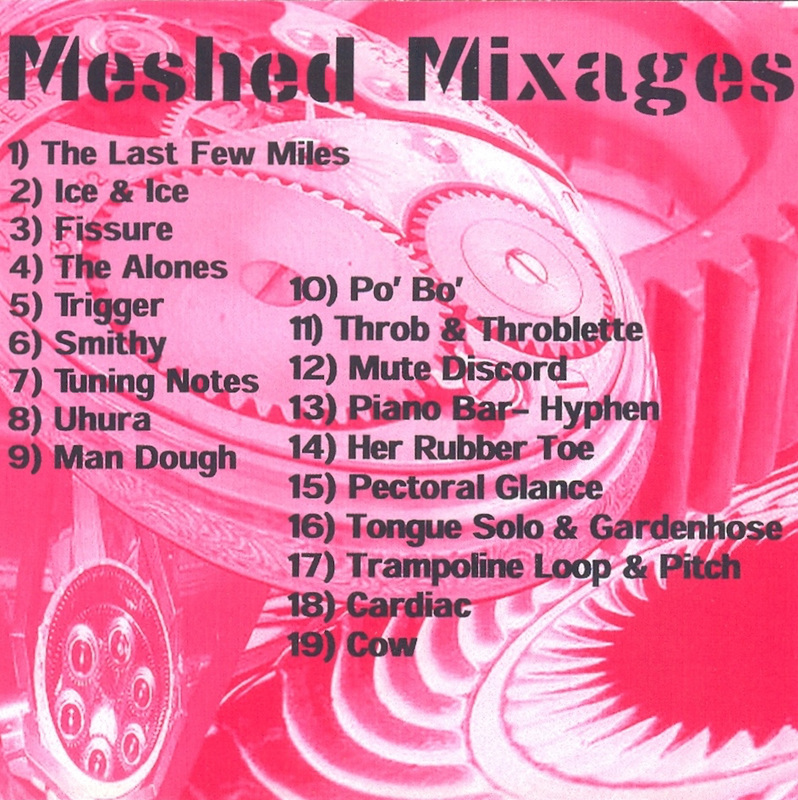 Meshed Mixages was a 3-way mail collaboration created in 2002. Bret Hart created an hour of sounds made with various homemade instruments in North Carolina. Bret sent his sounds to Charles Rice Goff III in Kansas who treated the Hart sounds and added sounds of his own. 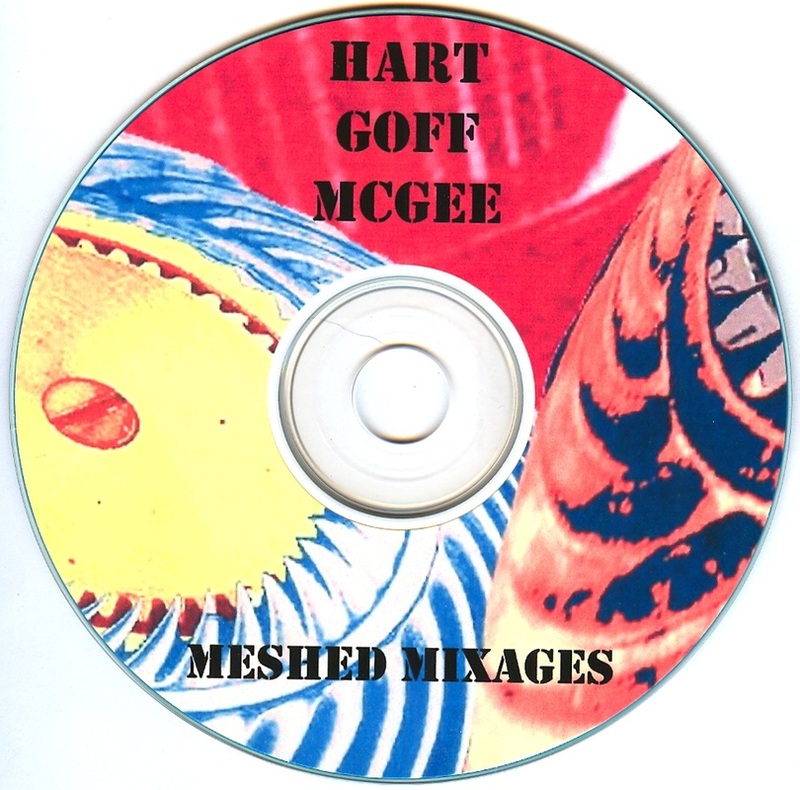 Charlie then sent the Goff-Hart sounds to Hal McGee in Florida who added sounds of his own, plus some untreated Hart sounds, and then mixed the elements together. Originally issued on CDR by the artists. Cover artwork layout by Goff. 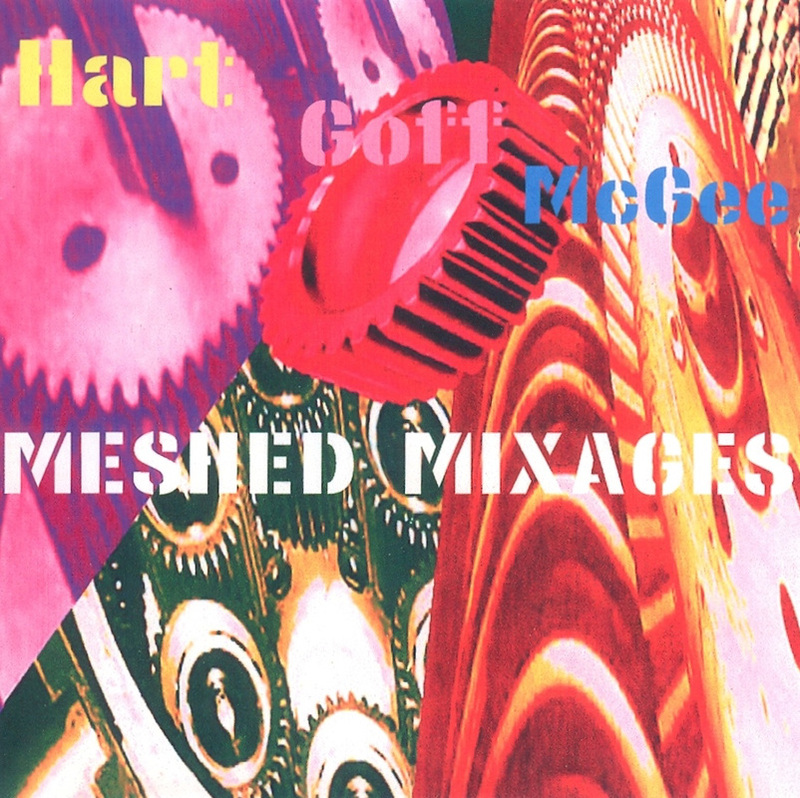 Bret Hart, Hal McGee, and Charles Rice Goff III... a trio of DIY underground giants putting their collective heads together to produce music, noise, and sounds designed to captivate and confuse the senses. It's all here too... noise and percussion bits, carnival organ parading around with electro noise patterns, Bret's guitar attacks, scattered percussion, hair raising sonic assaults (caution with the volume! ), and plenty more. I dig the avant-garde orchestral and free-improv pieces like "The Alones". "Trigger" is similar but includes voice samples arranged in strange ways with freaky sounds. "Uhura" is a wild free-improv/collage glom of electronics, strings, percussion and samples. And for space fans we've got "Smithy", "Man Dough", "Her Rubber Toe" and "Pectoral Glance" which all feature fun mindfucked alien cosmic weirdness. And the list goes on. The scary thing is I think I'm at the point with these guys that I'm confident I can pick out their individual contributions to each piece. An intriguing set of strangeness that fans of either of these three will surely enjoy.